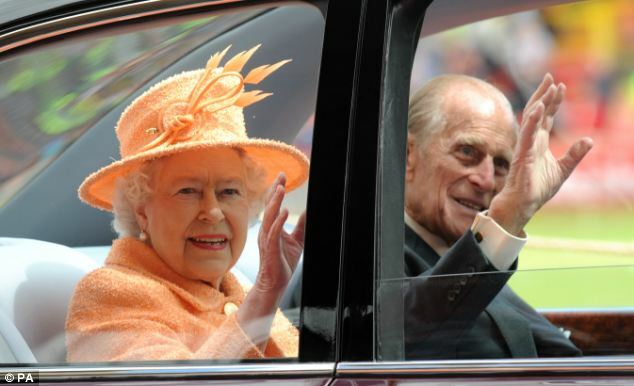 The Queen and Prince Philip touring the North East of England today. H. M. visited Durham this afternoon as part of her tour around the North East to celebrate her Diamond Jubilee year. The Queen, and Prince Philip, were guests of the city and University of Durham at a special lunch held in Durham castle. Needless to say, there was a lot of excitement in the city today, as people lined the streets of the medieval city centre, keen to ensure that they got a good view of the monarch as she made her way to the castle. 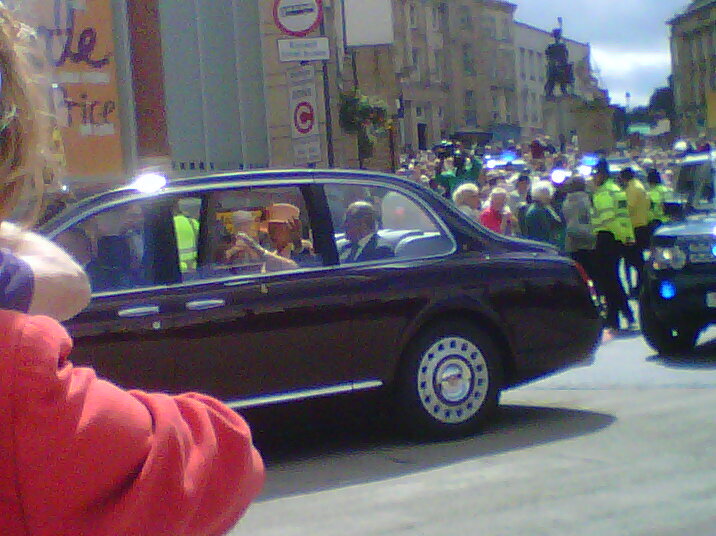 The Queen and Prince Philip greet the crowds lining the streets of Durham City. 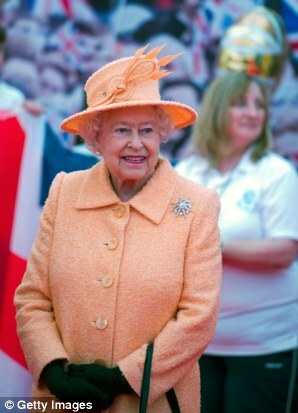 The Queen wearing a tangerine ensemble from her personal couturier Stewart Parvin, with a bespoke hat by Rachel Trevor-Morgan. 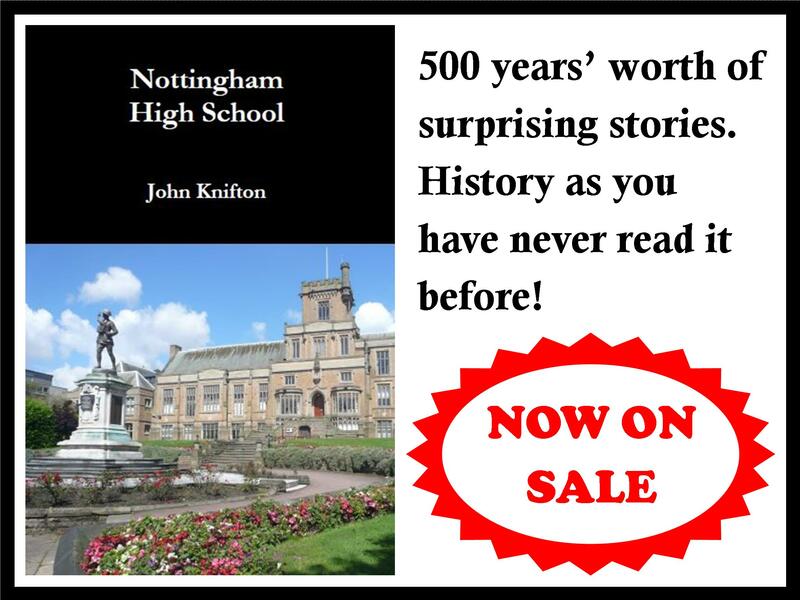 I was very glad to be able to get a great spot on the edge of the market square, standing on a bridge looking into the city centre, to get good view of the motorcade as The Queen made her way through the city after lunch. Soon enough, the crowds started waving flags and cheering as the monarch went passed and I got a great view of The Queen and Prince Philip as they were driven out of the city. As the royal party made their way down a slip road to a roundabout, I decided to try something a little new, and ran over to the other side of the bridge so that I would be facing the roundabout. Alone and outlined against the sky, I gave a rather exaggerated and slow wave over my head… and then as the royal car turned around the roundabout, a lovely lady in tangerine waved back at me. I don’t care if people thought I looked like a bit of a loon while I was waving on a bridge, since I shall always remember today as the day that The Queen gave me a wave.